One of the research topics in the research group of Prof. Christos T. Maravelias at University of Wisconsin – Madison is ‘Renewable Chemicals from Lignocellulosic Biomass’. One line of research is into producing chemicals such as 1,4-butanediol (1,4-BDO), 1,5-pentanediol (1,5-PDO) and 1,6-hexanediol (1,6-HDO) from wood chips. 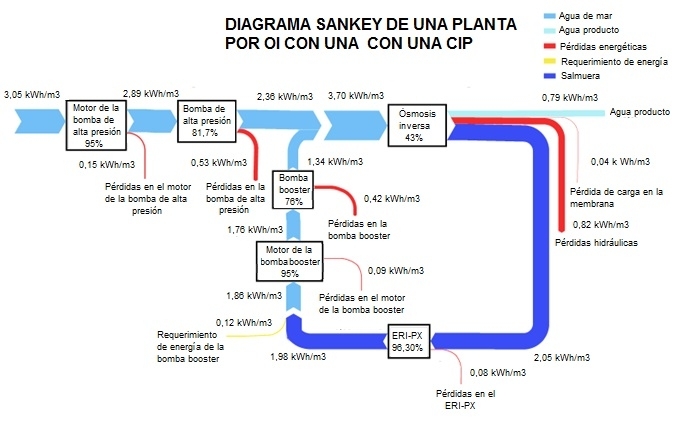 This process Sankey diagram is from the research description page of the Maravelias group. The red numbers relate to the carbon content in the process (starting with 100% carbon molecules in the feedstock, white birch wood). The coloring of the Sankey arrows is used to signal carbon concentration. And the height of the process nodes shows the cost share of a unit in the process (no absolute cost, just relatively to each other). Interesting! Read more here. A comparison of different Ammonia production technologies is made in a post on ‘Comparative studies of ammonia production, combining renewable hydrogen with Haber-Bosch’ by Trevor Brown on the Ammonia Industry blog. It also features this these Sankey diagrams from an Italian research study by Fratelli et.al. All diagrams relate to the production of 1 kg of ammonia (NH3). 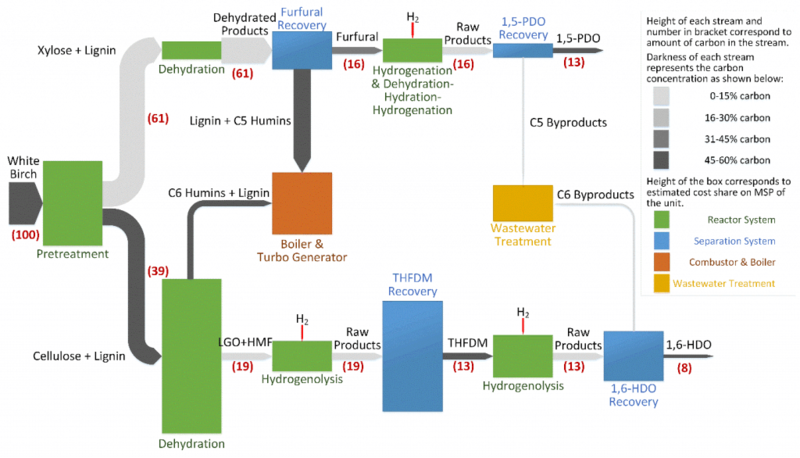 The authors in their “research examined three cases for renewable hydrogen production, including biomass gasification (Case A), electrolysis of water using solar or wind power (Case B), and biogas reforming (Case C), and compared these sustainable hydrogen sources against the traditional steam methane reformation of natural gas (Case 0)”. Blue flows represent electrical energy, red flows are heat energy, including the losses (off-heat). Green flows show chemical energy embodied in the product and the feedstock. For the original study check Fratelli et al: A system approach in energy evaluation of different renewable energies sources integration in ammonia production plants. In: Renewable Energy, Volume 99, December 2016, Pages 472-482. A Sankey diagram of O2 contamination during pressure water scrubbing from a paper on ‘Oxygen Removal during Biogas Upgrading using iron-based Adsorbents’ by Toni Raabe of DBI – Gastechnologisches Institut gGmbH Freiberg in Germany. Flows of methane, carbon dioxide, nitrogen and oxygen are shown in vol-%. The flow rate (in m³ per hour) is given in a small table at each stage of the process chain (biomethane-process chain via pressure water scrubbing). An interesting Sankey diagram of sugar production can be found on p. 23 and p. 24 of the 2002 report ‘Möglichkeiten der Wertschöpfungssteigerung durch Abfallvermeidung (biogener Reststoffe) und Nebenproduktnutzung – Feasibilitystudy’ by Austrian researchers Herbert G. Böchzelt, Niv Graf, Robert W. Habel, Johann Lomsek, Susanne Wagner, Hans Schnitzer (all of Joanneum Research). Why interesting? Because the diagram wouldn’t fit on one page in the report the authors decided to cut it in two parts. Two streams of the first diagram are continued in detail in the second Sankey diagram shown on the next page. All flows are in mass percent based on an input of 100% sugar beets (‘Rübenschnitzel’, with -schnitzel apparently meaning ‘chips’). The output of 16 mass-% ‘Presschnitzel’ (pressed beet pulp) and 4.18 mass-% ‘Melasse’ (molasses) is further detailed in the second diagram. Mind that arrow width is different in the two diagrams, so that they two can not be compared directly. Because water dominates the first diagram, the smaller mass flows of the second diagram would be barely visible, if the two were at the same scale. Still sitting on my hard disk are numerous Sankey diagrams I have yet to describe and post them here. The ‘Miscellaneous (Mostly) Uncommented’ series is a way to get them out to you. 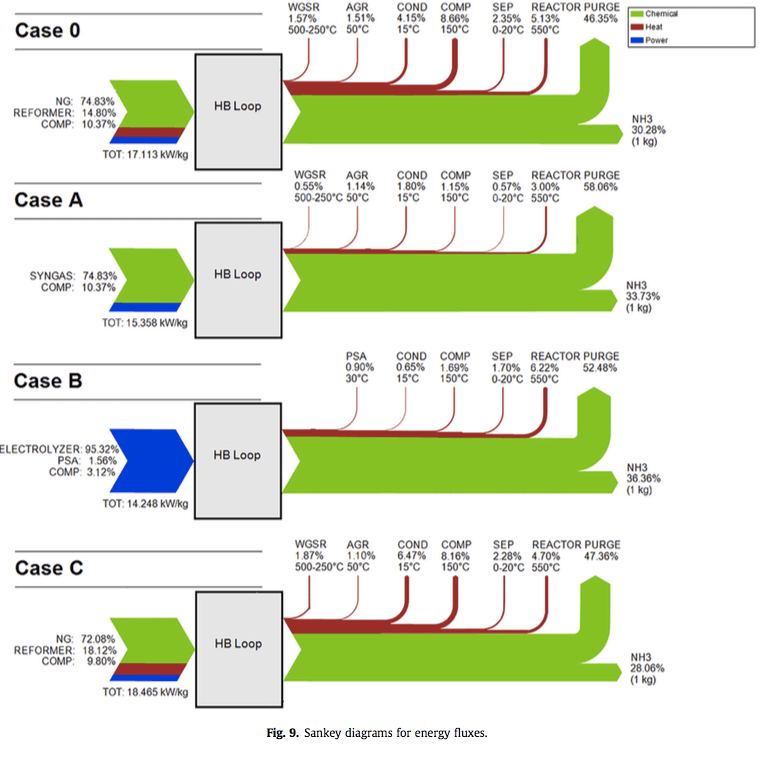 A Sankey diagram from process engineering. This one is from a poster by Monika Szolucha from Warszwaw Polytechnic. Google Translate tells me this is from a stationary membrane filter equipment that enriches methane content in biogas. Flows show throughput in kg per hour.